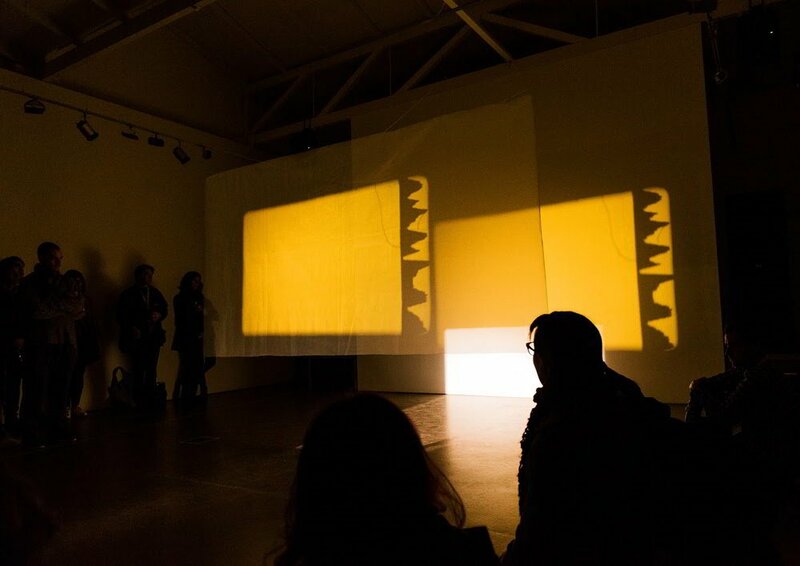 The new works involving multi-sensory projection, optical sheeting, reflection, lighting, and sonic composition extend upon her repertoire of live expanded cinema performances, multimedia installations and sound recordings. During her residency, Golding accessed the Grade II listed former Peckham Road Fire Station, recently gifted to the SLG, as means of exploring geo-dislocation, representation and the double. ‘Embedded’ is a Sound and Music composer and creative artist development programme funded by the Esmée Fairbairn Foundation. Known internationally for her expanded cinema performances, Sally Golding's live sets are edgy and intense, driven by a minimalist approach to horror aesthetics leading her to explore science and superstition, philosophy and pulp. Golding’s audiovisual performance work focuses on the experience of the audience, pushing the boundaries of visual and auditory perception through the breakdown of the cinematic system into flicker, waveforms and colour fields; while her installations have harnessed the presence of the audience themselves by incorporating their reflected image into projections within immersive spaces. Look out for interviews with Golding as featured in print in the current June 2016 issue of The Wire magazine, and online in Sound and Music's The Sampler, mid-May.